Commercial and Industrial Water Softeners remove harsh calcium, magnesium, reduce iron and manganese ions from your water supply line. Should be used on 1.5"-3" water lines and up to 305 GPM flow , and 90,000 - 1,200,000 grains. Designed with top performance and ease of maintenance in mind and can be used for commercial and industrial applications where a high-performance calcium / hardness reduction system is desired. 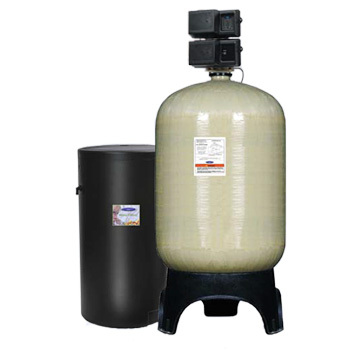 Commercial Water Softeners use ion exchange media that requires periodic regeneration. Please check table below to calculate size and capacity. Available water flow is between 14 GPM and 305 GPM (gallons per minute). 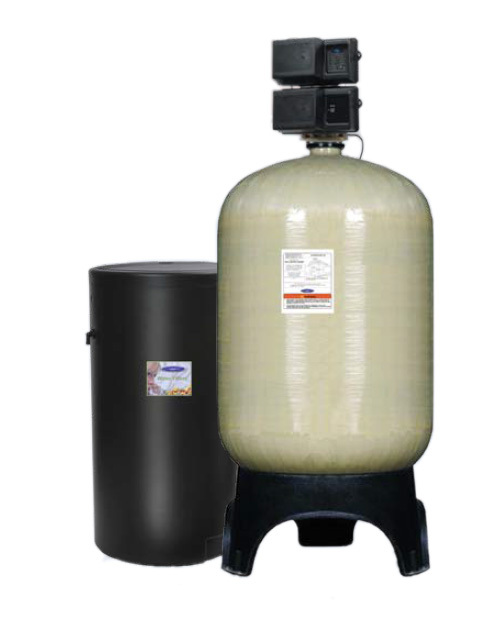 If you need a smaller size system, look at our 8 - 14 GPM Commercial Softeners with 1" plumbing. Looking to remove Iron? Water softeners can do it, but there's a better system, try Commercial Iron Removal System. These units are heavy! Actual shipping charges will be added to your order after unit is assembled. A very rough estimate (we express no guarantees if this price is accurate on the date of order!) of shipping charges would be between $200 and $1000 (continental US), and can vary greatly based on model, your zip code, location, availability of lift gate, fork lift, and gas prices. LTL Freight shipping out of Atlanta, Georgia.